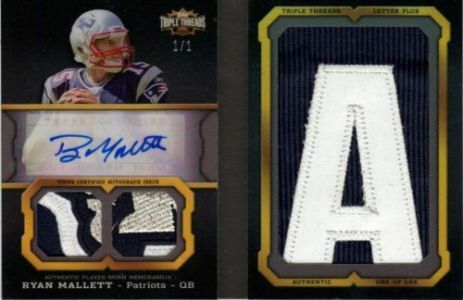 Although the consensus seems to be that 2011 Topps Triple Threads Football doesn't reach the heights its baseball counterpart did a couple of months ago, that's not to say the set isn't without some interesting hits. 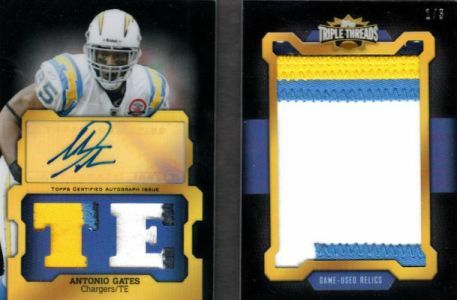 In particular, it's the autographed book cards that are offering some of the more interesting pieces. Some of the combo cards even offer lessons in Latin. 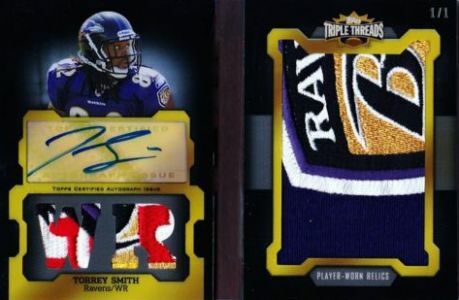 Here are some highlights, both single-player cards with jumbo patches and dual-player six-swatch autographs. 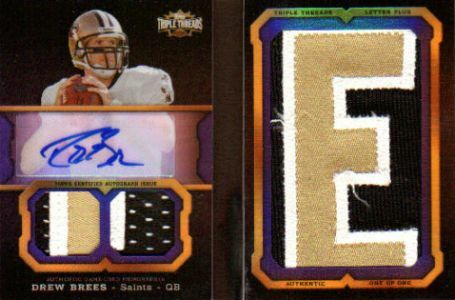 The Americas Team card has RogerStaubach and Tony Romo, not Unitas. Americas Team Advocate (ID 35004) � Thanks for the catch.